The actor Nakamura Kichiemon I held this name from the 11th lunar month of 1759 to the 1st lunar month of 1760, then from the 11th lunar month of 1761 to the 6th lunar month of 1770. Dates of birth and death unknown. 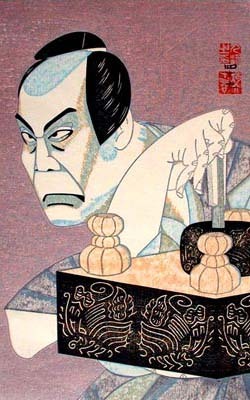 Disciple of Nakamura Kichinosuke, an actor related to Nakamura Kichiemon I, he started his career as a wakaonnagata named Nakamura Kichizô III. He spent most of his acting years in hama shibai and occasionally performed at the Ônishi no Shibai. 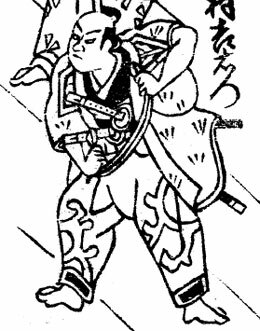 He took the name of Nakamura Kichiemon II in 1813 and his name appeared on a theater playbill for the last time in the 4th lunar month of 1812. 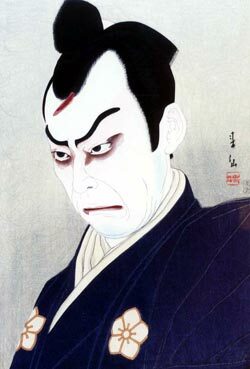 The actor Nakamura Kichiemon I held this name from 1897 to September 1954. The actor Nakamura Kichiemon II is the current holder of the name since May 1965.